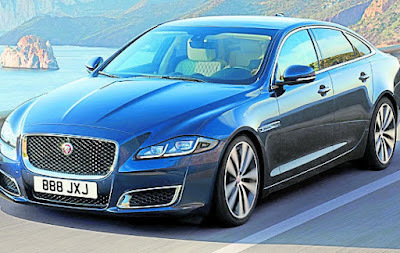 Tata Motors-owned Jaguar Land Rover has launched a special edition of its Jaguar XJ model for Rs 1.11 crore in India to commemorate 50 years of the company’s flagship luxury saloon, as per a reports from New Delhi. The special edition, XJ50 will be available in long wheelbase with 3 litre diesel engine option, the company said. The anniversary edition will have unique intaglio branding and XJ50-badged illuminated treadplates, alongside anodised gearshift paddles and bright metal pedals. “The Jaguar XJ has always been the epitome of Jaguar’s focus on luxury and excellence. With the XJ50, we have raised the bar once again, paying homage to one of the world’s most stylish sporting saloons.” said Rohit Suri, Jaguar Land Rover India President and MD.